In a Craigslist ad, a drum circle is requested for a home birth. 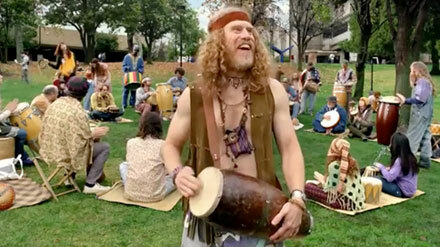 According to Wikipedia, "a drum circle is any group of people playing (usually) hand-drums and percussion in a circle." Considering that home births have been associated with an increase in neonatal deaths, one wonders whether a drum circle would really prevent these unnecessary deaths. Next: Travel During Pregnancy. A Good Idea?